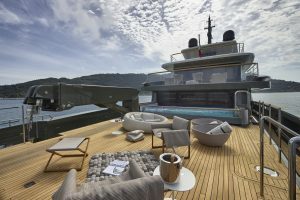 For those looking for a holiday that exceeds all others, a superyacht charter should be your first choice. Simpson Yacht Charter specialises in superyacht charter and has the most exciting fleet on offer in Southeast Asia. Offering a luxurious setting and high class service our Luxury Superyacht Charter enables you to explore the destination of your choice in comfort and style. A full expert crew will take care of your every need and ensure you have the holiday of a lifetime. All of our superyachts have crew with an amazing local knowledge and can help you to make the most of your time on the unforgettable waters of Southeast Asia. Most of our yachts carry a wide selection of toys and tenders that will allow you to make the most of your time away, or if it is relaxation you are after a superyacht is the perfect setting. For guests of all levels of sailing experience. High levels of service in a luxury setting. Friendly expert crew will make your holiday a memorable one. First class food and custom menu. Knowledgeable crew will help you make the most of this exciting region . Choose to embark or disembark from either our bases in Thailand or Malaysia. High specification, safe and comfortable yachts. Custom holiday tailored to your exact needs.